When I had a “missed abortion” after two years of fertility treatments, a colleague (who was a daughter of the chief rabbi of Morocco, so given authority on these matters) told me she had a dream where I was sitting on a hill, playing with a daughter. For many of us, particularly those who have suffered from infertility, the dream-child precedes an actual child. 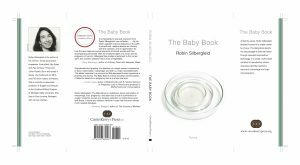 In The Baby Book, Robin Silbergleid, shares her journey as an intentional single mother. She begins her journey at an age when many assume pregnancy is easy—27—but that doesn’t turn out to be the case. After a number of unsuccessful cycles she suffers from a blighted ovum and requires a DNC at twelve weeks, before a successful pregnancy with her first child, a daughter. The Baby Book’s initial two sections are devoted to the challenges of first successful pregnancy. The third section is devoted to early motherhood. The fourth section concerns secondary infertility, and the brief fifth section concerns the pregnancy and birth of a second child, a boy. Throughout the narrator undergoes a number of medical procedures and alternative medicine. Silbergleid works skillfully in a variety of forms including a sestina, a pantoum, haiku, prose poems, letters and most prominently, a lyric poem in sections. While in general we hear the story in the narrator’s voice, there are also poems from the perspective of some of the health practitioners. K sticks in our throat. Kestrel, kingfisher. trigger shots of gonadotropin, test after test after test. In this doubled Abecdarian, Silbergleid combines the form that begins each line with internal rhymes and repetition. She also juxtaposes Latinate words (“pathetic,” “gonadotropin,” “perineum”) with sounds (“oh-oh-oh-oooh”) and simpler conversational phrases (“the push splitting her in two”) (85). One surprise in this poem is that, aside to that to Mary Oliver, the references to poets are to male poets. Combining these references with negation (“No quest here, no Cantos,”) implies that on this journey these are not helpful guides. Other poems in the book refer to Plath and Frieda Kahlo, artists who have experienced pregnancy/mothering in Plath’s case and miscarriage in Kahlo’s. The poem ends with hope, and a prayer, which fits the journey “No quest” that Silbergleid has embarked upon in her wish to be a mother. After the birth of each child recounted in poems such as “Maternity Leave,” and “The Childless Woman Has a Baby,” Silbergleid expresses some of the complications and pleasures of having children. In “Maternity Leave,” she writes, “Body. Baby. Blood./Words of the flesh all/I have these days. . . the baby needs another diaper/and Freud sits silent/on the shelves . . .” (64). Here there is a different focus on the experience of the body and leaving behind (temporarily—“For six weeks”) the definition of the self through reading and work. Usually when we see the words “The Baby Book” we expect a fairly predictable narrative of birth through the first year or two. However, Robin Silbergleid is talking to those on more unpredictable journeys. The combination of narrative overall story and flexible form makes this an important book for all poetry readers. Carol Dorf’s chapbook Theory Headed Dragon is available through Finishing Line Press. 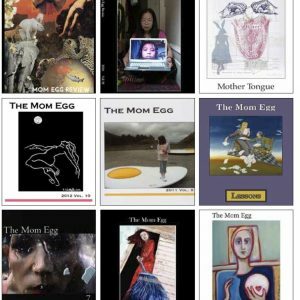 Her poetry has been published in Glint, Slipstream, Spillway, Sin Fronteras, Antiphon, Composite, About Place, The Journal of Humanistic Mathematics, Scientific American, Maintenant, OVS, Best of Indie Lit New England and elsewhere. 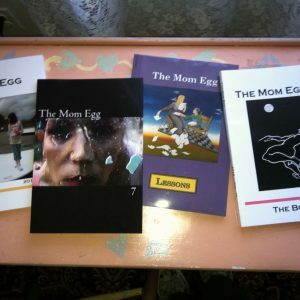 She is poetry editor of Talking Writing and teaches mathematics in Berkeley, CA.